Obama's Surveillance Review Panel Issues Initial Findings : The Two-Way The team was appointed by the White House in August following months of revelations about the National Security Agency's programs. President Obama asked the five intelligence experts to make recommendations about balancing security and privacy concerns. A team appointed by President Obama to review U.S. spying policies in the wake of the Edward Snowden revelations about National Security Agency programs has delivered an interim report to the White House. National Security Council spokeswoman Caitlin Hayden said in an email to news organizations that the review group "has orally provided their interim report to the White House, with their final report due by Dec. 15." She said the results would be made public "in some way" once the finished review is submitted. 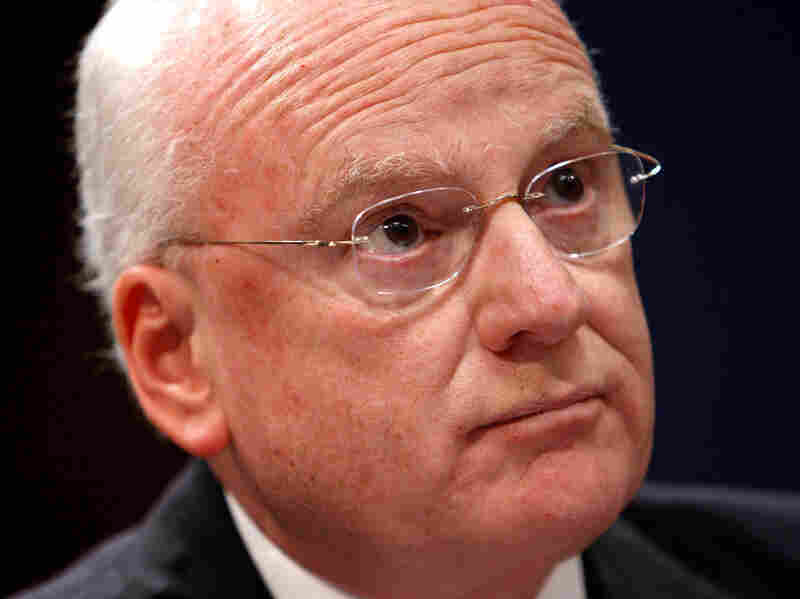 Former chief counterterrorism adviser Richard Clarke is a lead member of a panel appointed by the president to review the country's surveillance policies. "At the White House, the panel briefed Obama's national security adviser, Susan Rice, and counterterrorism adviser Lisa Monaco, along with National Security Council staffers." "The panel includes Richard Clarke, a former U.S. cybersecurity adviser; Michael Morell, a former deputy CIA director; Geoffrey Stone, a University of Chicago law professor; Cass Sunstein, a Harvard Law School professor; and Peter Swire, who served earlier on Obama's National Economic Council. "Establishment of the Review Group on Intelligence and Communications Technology was among the steps Obama announced at an Aug. 9 White House news conference to quell growing public and congressional criticism of programs that scour data on communications by U.S. citizens to look for links to terrorist activity."